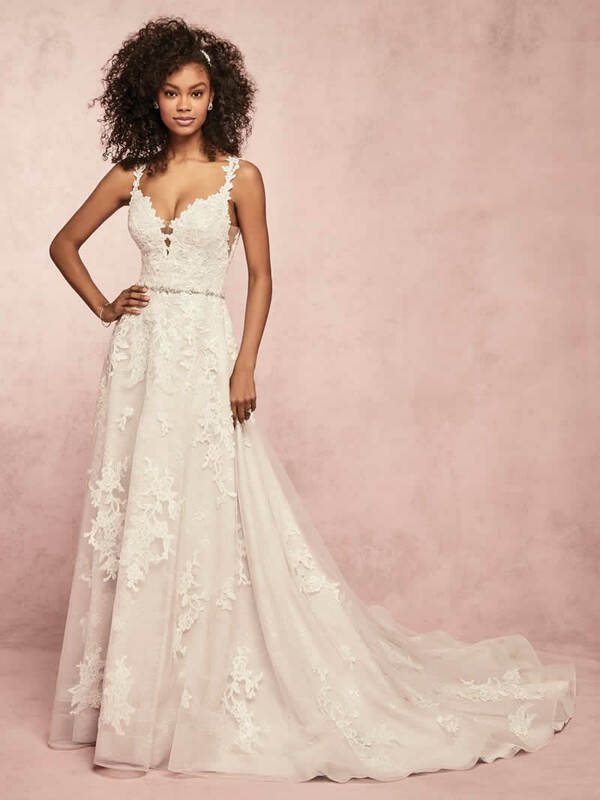 This A-line wedding dress features cascades of lace motifs over tulle and textured lace, with unique cutout lace motifs accenting the illusion plunging sweetheart neckline, straps, and V-back. Complete with illusion side insets and horsehair trim along the hemline. Finished with pearl buttons over zipper closure. Beaded belt accented in Swarovski crystals on grosgrain ribbon sold separately.